Trot the globe and pin your journey with this felt world travel map. Palomar—a family business in the heart of Florence—turns maps into décor that are both interesting and interactive. Put this map on your wall and trace your own steps or fill it up collaboratively. It’s a great conversation catalyst. Dimensions: Standard: 48.8" x 26" x 0.8"; Mini: 30.3" x 18.9" x 0.8"
Weight: Standard: 1.12 lbs. ; Mini: 0.48 lb. 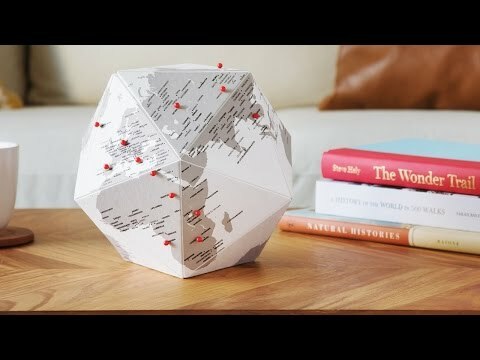 A great way for my husband and I to keep track of our travels and our next destinations!